Asthma is a heterogeneous and chronic inflammatory family of disorders of the airways with increasing prevalence that results in recurrent and reversible bronchial obstruction and expiratory airflow limitation. These diseases arise from the interaction between environmental and genetic factors, which collaborate to cause increased susceptibility and severity. 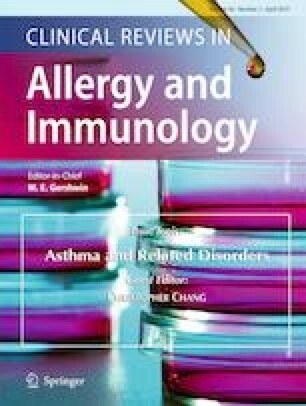 Many asthma susceptibility genes are linked to the immune system or encode enzymes like metalloproteases (e.g., ADAM-33) or serine proteases. The S9 family of serine proteases (prolyl oligopeptidases) is capable to process peptide bonds adjacent to proline, a kind of cleavage-resistant peptide bonds present in many growth factors, chemokines or cytokines that are important for asthma. Curiously, two serine proteases within the S9 family encoded by genes located on chromosome 2 appear to have a role in asthma: CD26/dipeptidyl peptidase 4 (DPP4) and DPP10. The aim of this review is to summarize the current knowledge about CD26 and to provide a structured overview of the numerous functions and implications that this versatile enzyme could have in this disease, especially after the detection of some secondary effects (e.g., viral nasopharyngitis) in type II diabetes mellitus patients (a subset with a certain risk of developing obesity-related asthma) upon CD26 inhibitory therapy. This project was funded by Instituto de Salud Carlos III, Ministerio de Economía y Competitividad (PI13/02046) and Sociedad Española de Neumología y Cirugía Torácica, SEPAR (121/2012).